New Delhi: Delhi Pardesh Shiromani Akali Dal (DPSAD) got a major boost when four suspended and one former SAD Nation Youth President rejoined the party after a gap of a year on Saturday at Delhi party office. Delhi SAD incharge and Rajya Sabha MP BS Bhundir welcomed them by giving party flag and offered them membership of the party. 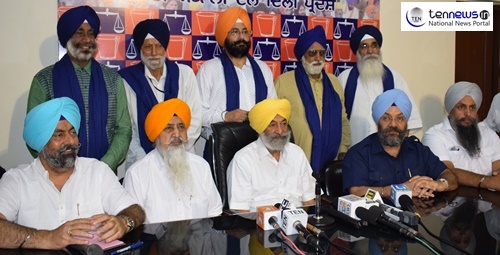 The leader are — Gurminder Singh Mathru,Tanwant Singh, Bakshi Singh, they were former party member and suspended for working against party line. While former SAD Nation Youth Presidents Harpreet Singh Raja and Amarjeet Singh Lebaspuri also joined the party. Amarjeet was suspended for overruling party’s leadership last year. After the suspension from the party, they haven’t joined any political party and had been waiting for reconsideration by the senior party leader.